Looking for a perfect building site? Look no further! 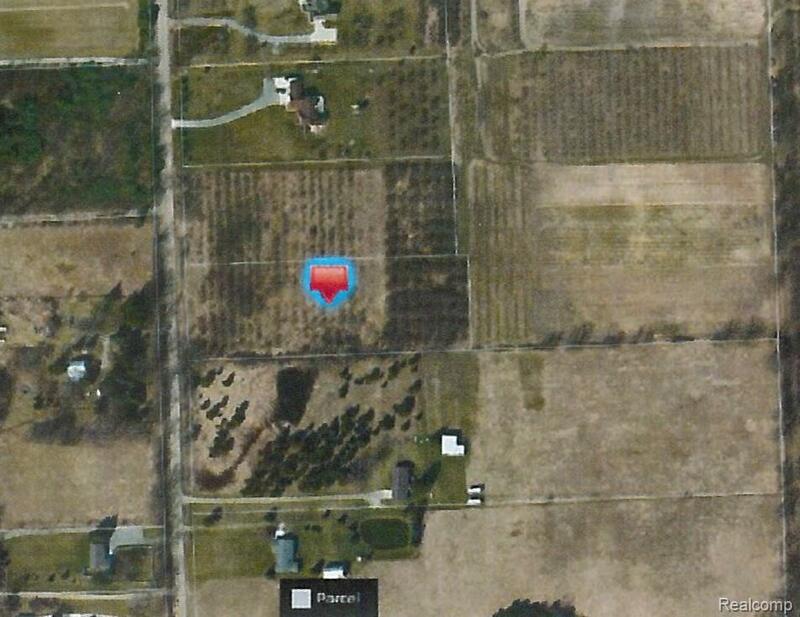 3 acres with hundreds of apple trees, high and dry, close to paved road, natural gas available, perked and surveyed, ready to build on! Located in peaceful, rural area of Atlas Township! Wildlife galore, deer, turkey, rabbits and more! Quality Goodrich Schools. Adjacent 3 acre parcel available. IDX provided courtesy of Realcomp II Ltd., via Atlas Real Estate and Realcomp, ©2019 Realcomp II Ltd. Shareholders.